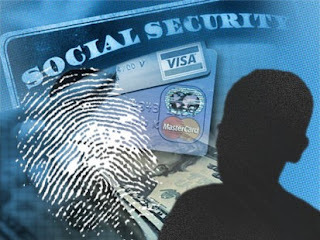 The recent announcement regarding the data breach at Equifax has many people concerned about how to respond and protect your identity from ID thieves. Equifax is just the most recent of a number of data breaches that have impacted the majority of Americans. Here are some steps we recommend everyone take to protect yourself and your family from ID thieves and data breaches. Assume your information has been breached and act on that assumption. This is one time when assuming the worst will actually protect you. If you already have a credit monitoring/ID theft protection service, contact them immediately to determine what assistance they can offer you. Set up a Fraud Alert or Credit Freeze with the Credit Reporting Agencies. At this time, you may have difficulty placing the Fraud Alert or Credit Freeze at Equifax. Go ahead and set it up with the other two credit reporting agencies, and return to Equifax at a later date to set things up. Consider your children’s credit reports as well as your own. Your child may not have a credit report, but it doesn’t hurt to try and check it out. In Colorado, the law says that “all consumers” may place a credit freeze. If your child does have a credit report, as that person’s guardian or parent, you may freeze their credit to protect them. Notify ALL of your financial institutions that you may be the victim of a data breach and see what protections they have available to protect your accounts. This includes your bank or credit union and all of your credit card or loan companies. Monitor your accounts for any suspicious or fraudulent activities. This may mean accessing your online accounts. If you choose to access accounts online, just remember to use strong passwords and make sure you are not accessing your account on a public Wi-Fi network. Check your mail for anything that may indicate that someone is using your ID to try and obtain credit. Request a year end analysis of services provided from your health insurance provider. This will show what doctor visits or other medical services have been billed to your insurance. This will help you determine if someone is using your medical ID. If you do not already have a credit monitoring/ID theft protection service, you may want to research options available to you. Consumer Reports Online and other online consumer agencies will provide comparisons and guidance in deciding if this is a good option for you. If you notice anything suspicious in any of your accounts or your mail, don’t ignore it. Check it out! Be very careful about emails or text messages you may receive offering your assistance in fixing the data breach problems. These are most likely scams! DO NOT click on any links or open attachments. Simply delete. If you receive a similar phone call—hang up on the caller. DO NOT give out any personal information! able to recover and repair the damage.